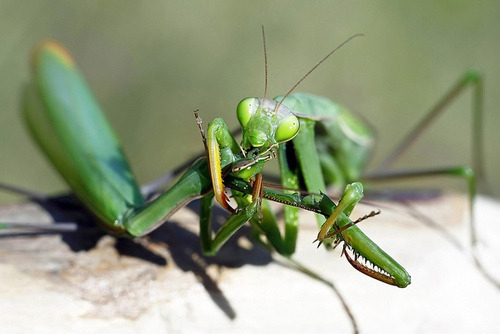 The rest is downhill from there, unless, of course, you’re the female mantis. She won’t stop until the male has been utterly devoured. Heavenly Father, empower me and the men in my church – empower all men reading this post who bear the name of Christ – to put to death our lust and to walk in your light. Fill us with your Holy Spirit, who frees us from abdomen-thinking and gives us self-control. Train us in love to treat older women as mothers, younger women as sisters, and all women as persons rather than objects. Thank you for your gospel, in which you have washed us, sanctified us, and justified us. We want to honor you today as clean men who know how not to lose their heads. In the name of Jesus, Amen.